Imagine waking up one morning with the ability to see out of only one good eye, without the power to move your limbs, and with a tangle of tubes extending from your body like tentacles. Now imagine having no idea how you got in such a predicament. Such is the story of my friend Katherine Wolf, who suffered a massive brain stem stroke a few years ago. And though she should be dead, she isn’t. And though her husband, Jay–who was was left alone to care for their six-month old son and his suddenly severely disabled wife–should have lost hope, he didn’t. 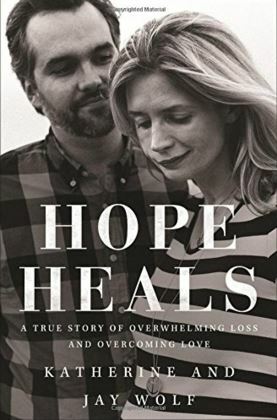 Their new book, Hope Heals, tells the story of their harrowing journey and the hope that has sustained them. In it they honestly and vulnerably recount all they lost and all they found and the Source for the miracle of life and their hope amid hopelessness. I could not recommend a book more highly than this. After a short conversation about Jesus the Christ and Scripture’s telling of who he is and what he did, AJ responded to God’s love, repented of his sin, and chose to follow Jesus. And just like that, the heavens exploded with joy (Luke 15:7, 10), as did AJ and I! I’ll never forget where I first learned about the power of presence. It was in a hospice care facility in east Texas where my sweet grandmother, Jo, was dying. My grandfather, her husband of 58 years, never left her bedside. He comforted her, supported her, and helped ready her for eternity with the simple power of his presence. And after she died, I was humbled and grateful to learn that my consistent presence had comforted, supported, and helped him in that terribly difficult time. Making disciples is what the Church was made by God to do. In this series I explain why we aren’t doin g it well (Read it here) and two things that stand in our way (read about them here—Roadblock #1: the Christian message that is too easy to be good, and Roadblock #2: we have traded acts for facts). But there is hope! Blog #4 reminds us that the first solution is that we must tell the full story! If we want to be a church that effectively makes disciples of Jesus—people who actually value doing what God asks disciples to do and who actually live lives that impact the world around them—we must (must!) reintroduce and value rigor. Good old fashioned rigor. In the first post of this series (Read it here) I argued that the American church’s misunderstanding of the phrase “grace is enough” causes us to misrepresent the Christian life and miss out on what it truly means to be disciples of Jesus. 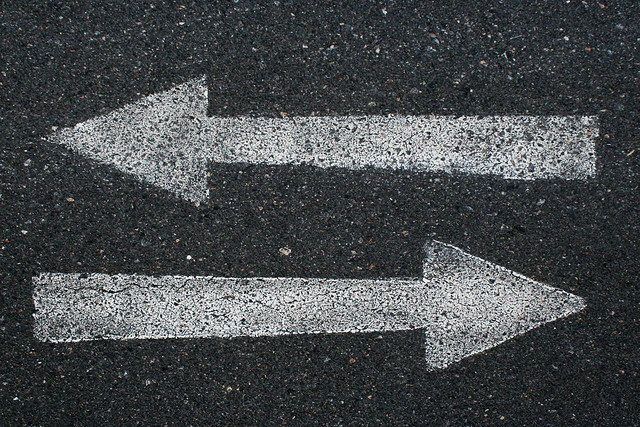 To right the ship, we need to understand two roadblocks that prevent us, and others, from following Jesus into the life of discipleship we were created for. 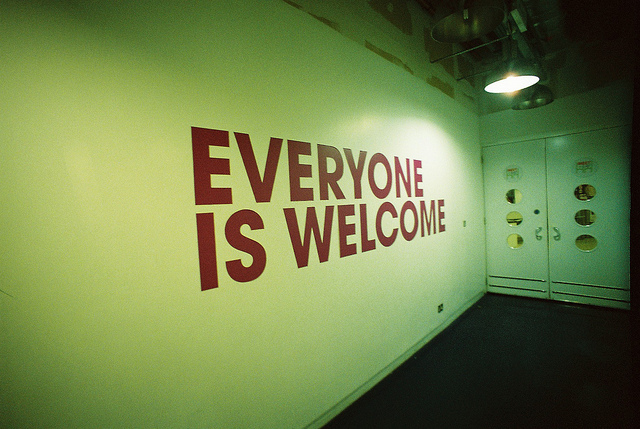 The first roadblock is this: we present a Christian message that is too easy to be good. You can read about it here. In a culture where the breadth of human knowledge is accessible with only a few key strokes, we often substitute learning for mastery. We have substituted facts for acts. In last week’s post (Read it here) I argued that our misunderstanding of the oft-used phrase “grace is enough” causes us to misrepresent the Christian life and miss out on what it truly means to be a disciple of Jesus. 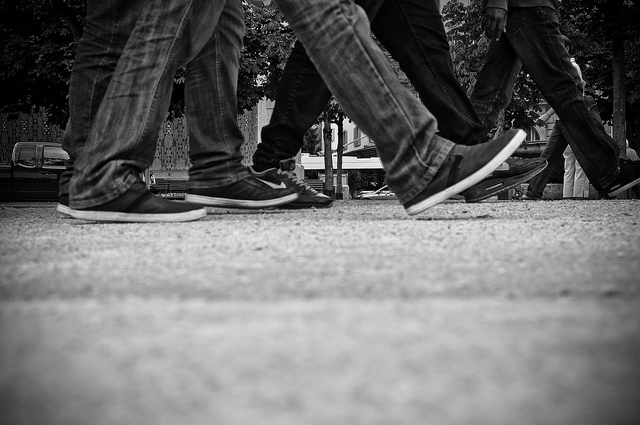 We have a shallow view of grace and an incomplete definition of discipleship. In our addiction to “the easy life” we have eliminated the rigor of discipleship and simultaneously cheapened the grace God has given. 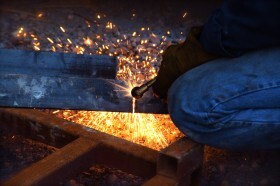 Dallas Willard’s phrase, “Grace is not opposed to effort, it is opposed to earning,” is good news. Though a life devoted to God in Christ is more difficult than we have often heard, it is also much better than we have often experienced. The “accept Jesus into your heart and you won’t go to hell when you die” approach to making disciples is too easy to be good. Let me explain. That sentence alone will send the reformed crowd into orbit, and it just might make the rest of you scramble for Bible verses that refute works-based righteousness. But when I was recently asked to comment on Christian discipleship today, I could not help but think that grace is not enough. I’m never more content than the Sunday morning of Thanksgiving weekend. The previous 72 hours are filled (literally) with turkey and pumpkin pie. And lots of it. And when Sunday morning rolls around I am primed and ready to worship God for all his bountiful blessings in my life. But then, out of nowhere, the Holy Spirit shows up to reiterate how ridiculously good I have it here. My contentment is turned into conviction. In this case, the Spirit spoke through the testimony of Pastor Joel Amonde, a Kenyan pastor who runs an orphanage and primary school in western Kenya. One meal a day. Of rice and beans. 5 Ways to Help Our Family…Will You Pick 2? 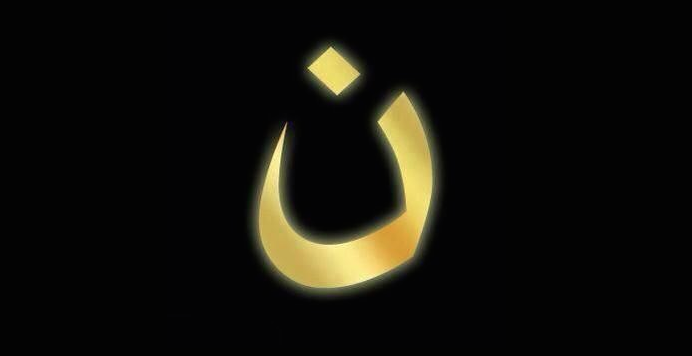 The letter ‘N’, or the Arabic symbol pictured here, is used by ISIS to mark the homes of the Christians they are murdering, capturing, and driving from Iraq. The Islamic terrorist group chose this letter because it stands for the Nazarene,that is Jesus of Nazareth. It represents the One the Iraqi Christians claim as their Lord, and the One that makes us family. Hundreds of thousands of people around the world have adopted the letter and joined the #WeAreN campaign to show solidarity with Iraqi Christians. And we should too. I have half a mind to go and paint the letter on the outside of my apartment right now. This is just one, simple way we can begin to answer the question I posed in my previous blog: what can we do to help our family? But we need to do more. I’m writing today to ask for your help. I am reading through the Christmas narrative in my Bible as I work on a Christmas writing project. It feels kind of weird to do it in August. But hey, if my little brother Andrew can record a Christmas album in August, I can write a Christmas book. (Andrew-Greer.com – How about that for a shameless Greer family plug?!). As I read Mary’s journey with fresh eyes, I’ve thought long and hard about just how crazy of an experience it must have been. Imagine being told by an angel that you would play a major role in God’s plan for the world; while you were still a teenager. And imagine that plan including an out-of-wedlock pregnancy in a society that stoned women for unmarried sexual activity. In the late 1930’s Superman made his comic book debut, and for the last seven decades readers and moviegoers of all ages have been thrilled by his use of super-human capabilities to rid the world of evil. The idea of Superman resonates deeply with the American psyche. Though a fictional superhero, the man from Krypton embodies the independent, self-sufficient, nobody-to-somebody kind of story we love. He’s a loner. An island. “Supe” is the kind of guy boys dream of being and the kind that men actually try to be. 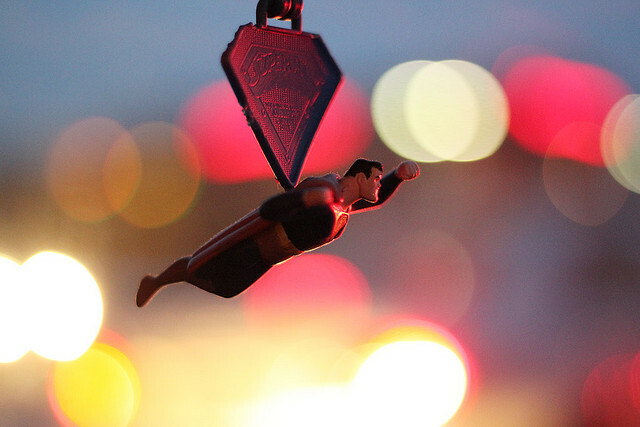 Superman is the one guy everyone turns to and the one guy who never needs to turn to anyone else. And we admire that about him. Sometimes we admire the same thing about Jesus. Jesus is the one man who changed the world forever. He stepped to earth from another place, humbly rose to epic fame, and conquered evil all by himself. But unlike the fictional Superman, we believe the Bible tells the true story of how this no-name carpenter rose to the occasion to single-handedly defeat death itself. I attend and work at St. Andrew’s Presbyterian Church, and part of the church’s mission is to exhibit extreme hospitality. The church does it well. In fact, it was this genuine hospitality that brought my wife and me to the church in the first place and part of why we chose to stay. But as welcoming as our church is, I’ve never encountered hospitality like I did in Egypt last month. I was there to help my friend explore new mission opportunities, and from the moment our hosts met us at the airport until they dropped us off again, we were treated like royalty. It might seem a bit rude to say we, American Christians, are not very good at being the Church. But in some ways, it’s true – and I would much rather say (and hear) what is true than what sounds good.